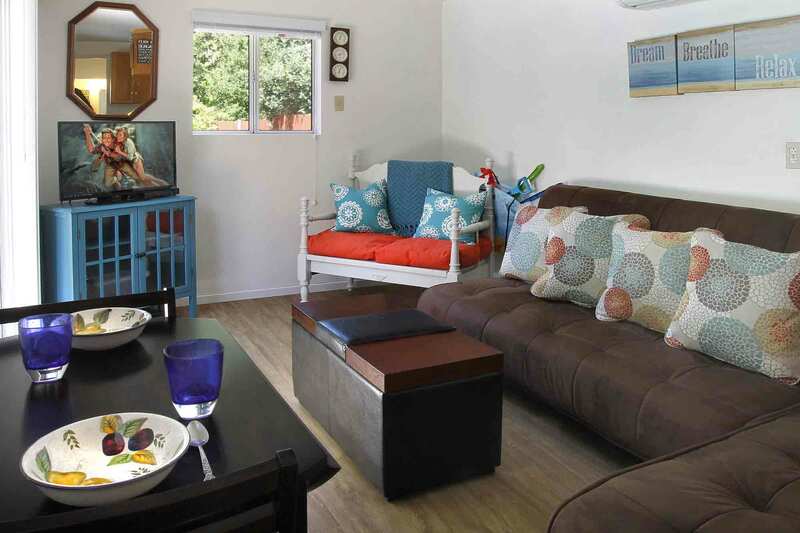 *Regular nightly rate is $229 ($279 May-Sept while pool in service). Weekly rate is stay for 7, pay for 6. 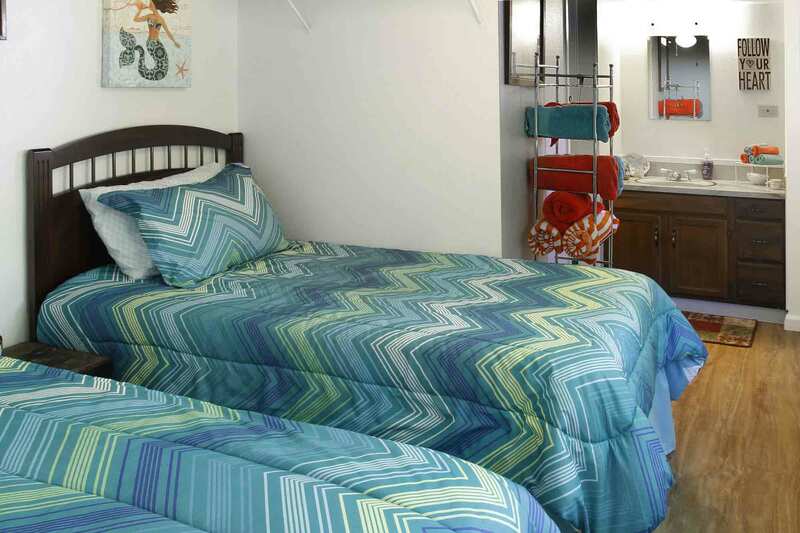 Your reservation total will include a cleaning fee and bed tax in addition to the rental rate. Updated Classic Vacation Home, Seasonal Swimming Pool (May-Sept) with Cabana, Hot Tub, Fire Pit, Loungers, Fenced Yard, Gas Grill, Outdoor Dining. Pellet Stove, 3 TV's. 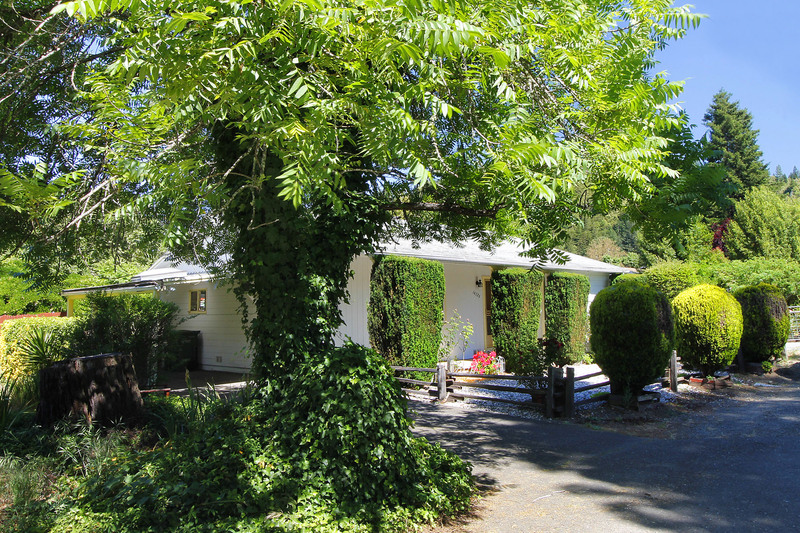 Flat Walk to Downtown Guerneville (1 mi, no sidewalks), River Beaches; Short Drive to Hiking, Wine Tasting, Golf. Wi-Fi, Unlimited Domestic Long Distance, Cable TV. Your Well-Behaved Dog is Welcome! 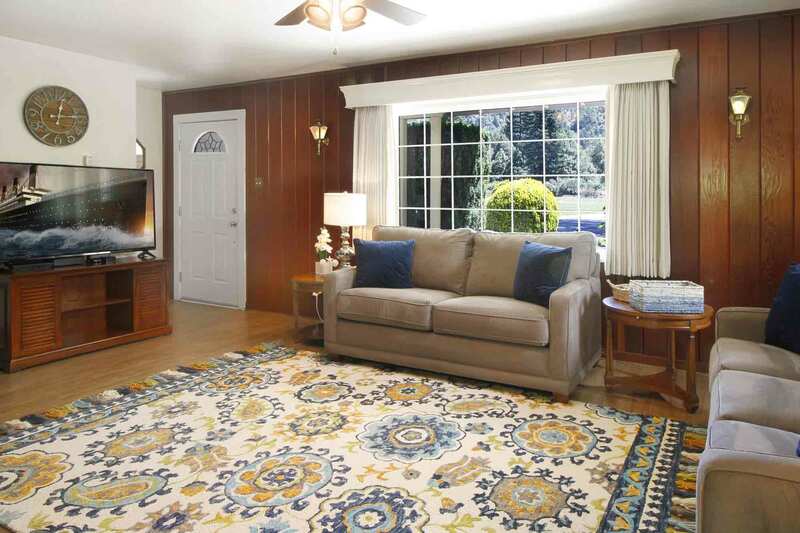 Off the traditional living room, there's a short hall with two bedrooms and a bathroom. The other side of the living room opens to the kitchen, which opens to the dining room. From the dining room, there's a small mudroom, which leads to the fenced rear yard, outdoor dining patio, hot tub, and seasonal swimming pool (available May-Sept only, unheated). 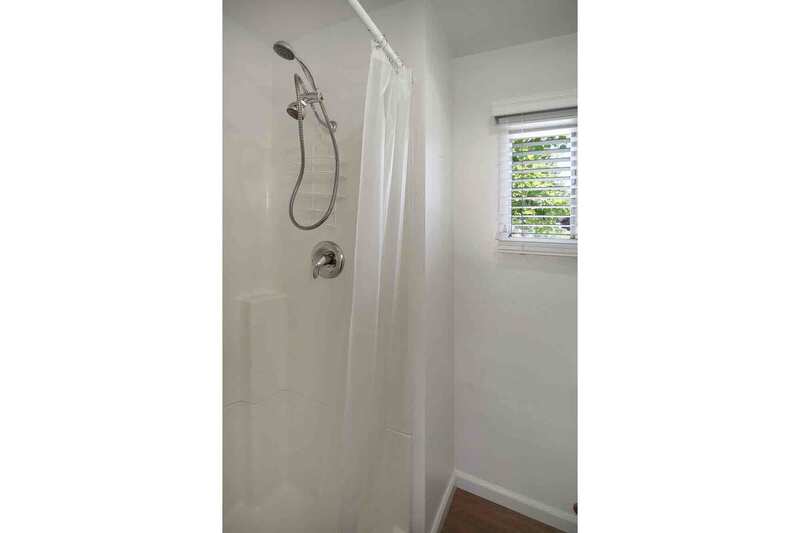 Adjacent to the pool, the third bedroom is a cabana with second full bath. Main house is approximately 930sf. Minimum Stay: 2 Nights EXCEPT 3 Nights President's Day, Memorial Day, Labor Day thru Sept 30, Christmas thru New Year's; 4 Nights Thanksgiving. Summer: Up to 4 Nights June- Aug. Last minute shorter bookings sometimes available. Wow! What a delightfully charming place to stay. 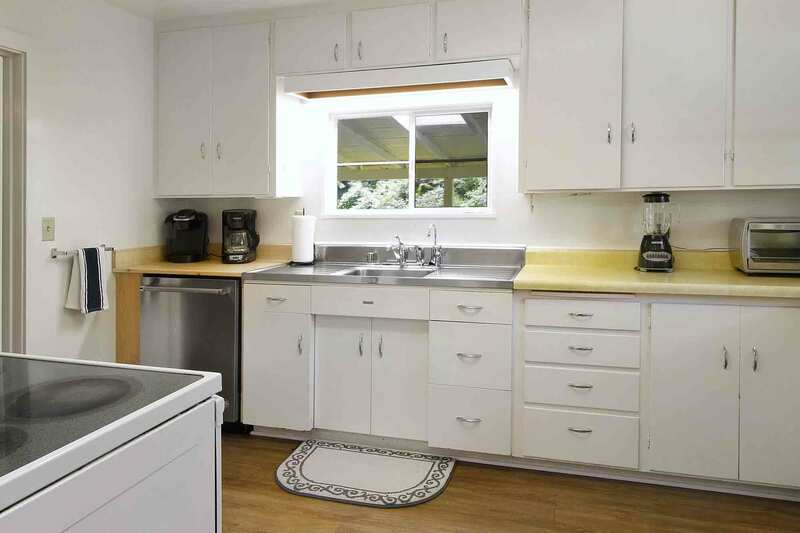 Great location, just minutes to the Main Street in Guerneville, but in quaint a neighborhood with lots of open meadows with lots of sunshine and blue skies! The home is well appointed with everything we needed. Beach towels, pool toys, big TV, and lots of dishes and appliances, so cooking for the group was a breeze. 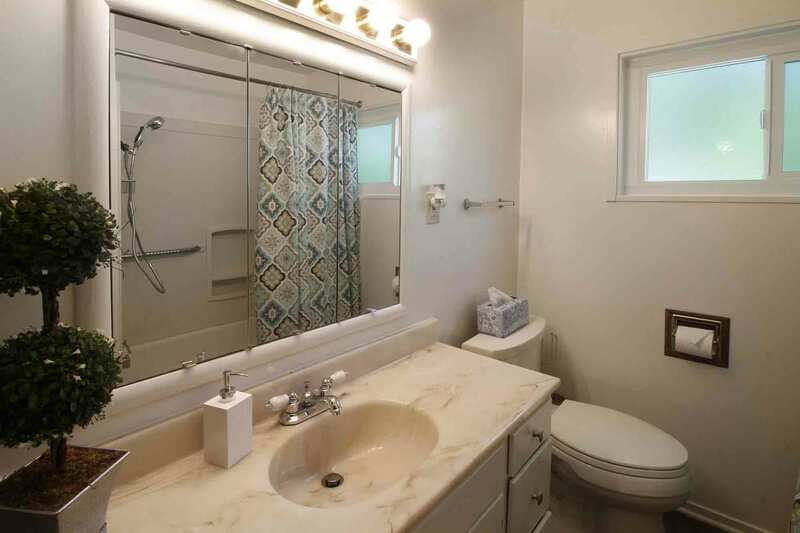 Property has lots of flora fauna, a very nice pool and brand new jacuzzi hot tub. Amazingly, the pool area gets sun all day and is a joy to sit out and watch the sunset or enjoy the fire pit in the evening. Thanks for the great memories! Perfect place to stay for two couples but definitely room for more with the pool house. It was a beautiful weekend so we relaxed by the pool after some local wine tasting. Kitchen is well stocked with all the tools that you need. House was very clean and quaint. Dog friendly was a plus and the backyard is huge/perfect for dogs. Hot tub was also amazing. We will for sure stay at this rental again! Amazing space. Great location. Perfect mix of isolation and downtown access. "Stayed here with a big group and had a lovely time"
Stayed here with a big group and had a lovely time. Communication was great, the staff were understanding, clear, and quick to respond. The property is very spacious and has better amenities than most Airbnb properties I've stayed at. It's a great place to kick back and hang out. The kitchen was very well equipped, and I'm picky about my food prep. It's close to town, but not enough that I'd walk. The folks staying in the main bedrooms said they were very comfortable, and the sofabed was comfortable enough to get a good night's rest. I stayed in the cabana. The beds would fit kids or small adults, and while not as nice as the main rooms, were comfortable enough. We really appreciated being able to do laundry so easily, and the keyless entry made check-in a breeze. The house doesn't have particularly scenic views, but it does have a lot of in-house recreation opportunities, such as the pool/ hot tub and an Apple TV. Overall, I had an enjoyable time and would stay again. We enjoyed a very nice and quiet three-day family vacation here. We went on pleasant walks in the neighborhood and at nearby Armstrong Woods, made some fun meals in the kitchen, and enjoyed the hot tub. We hope to return in the summer when we can swim in the pool. This place is perfect for a quaint get away with no frills but very well clean and was a nice place to spend Christmas with my family. 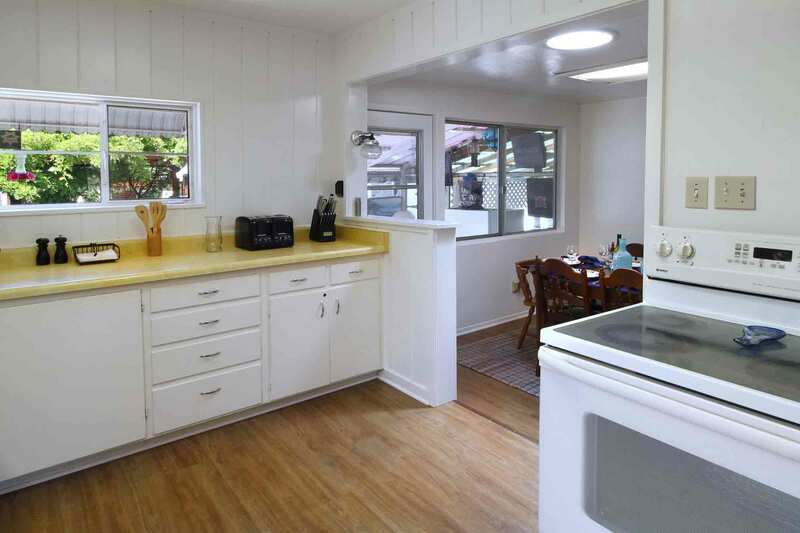 This home was much bigger, cuter and fun than it looked in the listing. We were all marvelously surprised by how charming and homey it was. The location is great, and the hot tub is huge. What more could we ask for? "Great place to get away..."
Great place to get away for a bit and unwind! 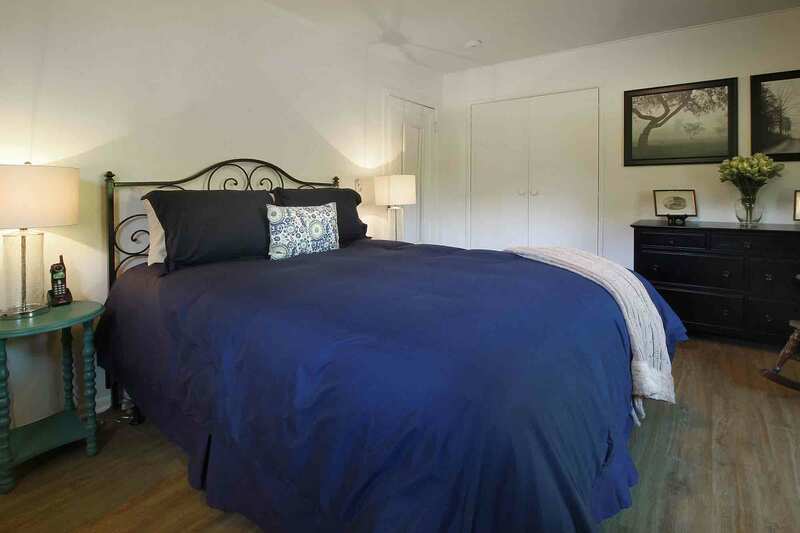 Cute house in a beautiful area that is close to many great wineries and restaurants. "We had a great time on our get away"
We had a great time on our get away. It was very hot over the weekend, and the pool was great to cool down in. 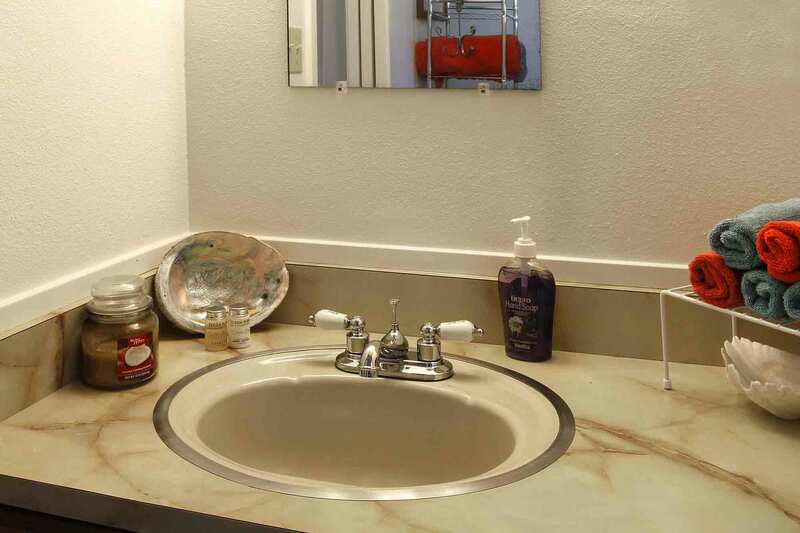 The property was nice and clean, check-in and check-out were a breeze, and the location was close to downtown. As other reviewers have started, it's a bit too far to walk to downtown, but it is only a 5-10 minute drive. We'll definitely consider coming back next time we're up this way. 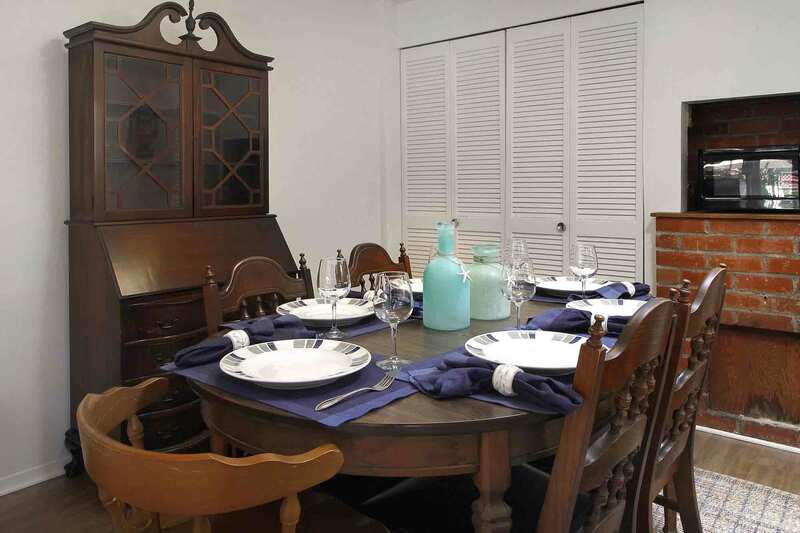 Wonderful and spacious property, perfect for a family gathering w my siblings. Loved the space, inside and out. Thank you! 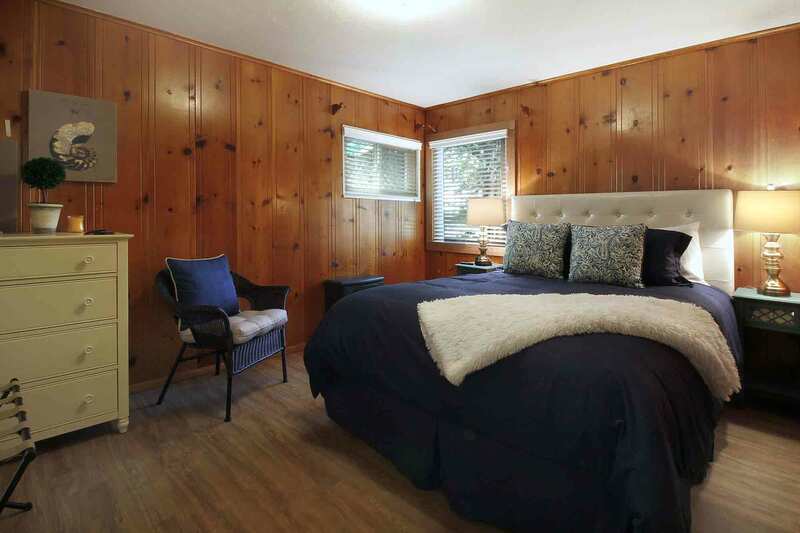 "This was perfect for Guerneville! " This was perfect for Guerneville! Six friends traveling for a long weekend. Loved how quiet the neighborhood was and a short walk down the road brought us to a gorgeous vineyard setting. We brought our bikes and rode into town... and we actually walked to town. A bit of a stretch but we knew that when we rented the house. 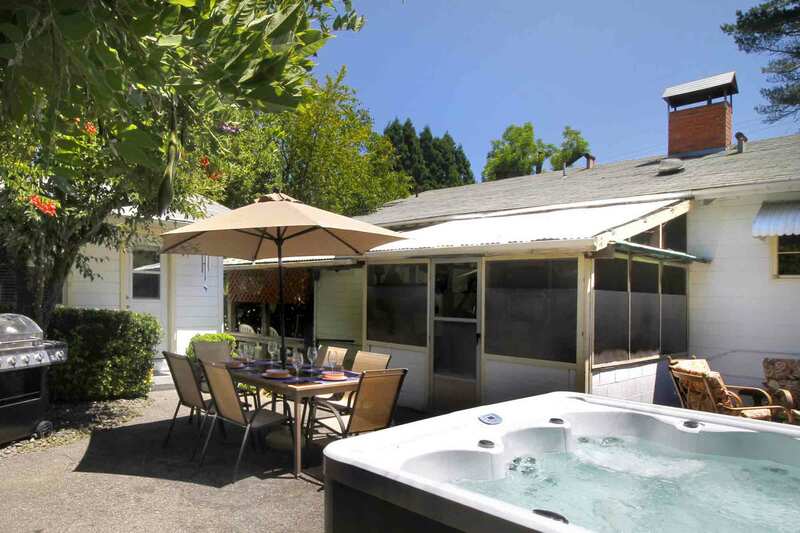 The house works well for Guerneville. Hot tub and fire pit were thoroughly enjoyed. Plenty of towels for six guests. 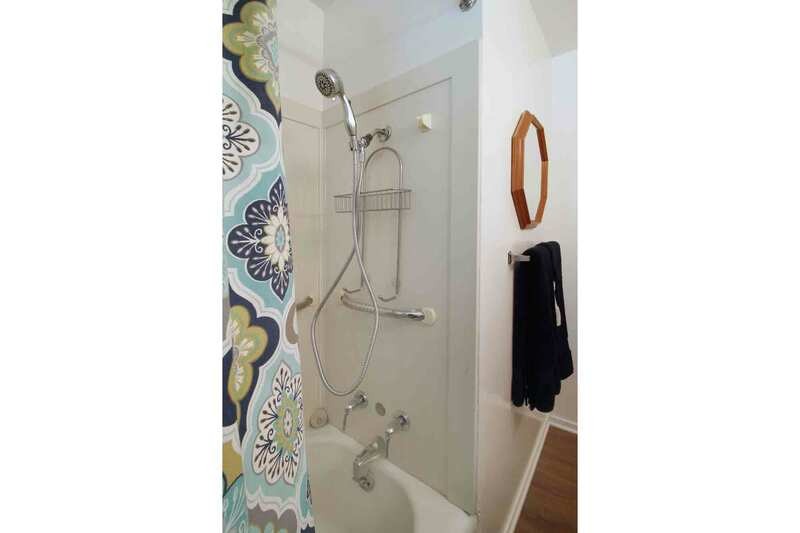 I always bring my own bath amenities and I would suggest that for this home. Wood paneling and brick gave it a hip old school feel... the bar lights in the sun room were great! We will be back next year! We really enjoyed our stay at this house with both a pool and hot tub. We had immense fun with our kids during the day in the pool, and after bedtime the adults could retire to the new hot tub - with waterfall jets! - to relax and wind down. The house is convenient to the town but not walkable for any other than the most dedicated adults. There are fine walks in the neighborhood if you bring your pooch, as we did, and she loved the yard too. The house is well appointed and pleasant even with a bit of it's built-1955 feeling still evident, it put us both in mind of visiting our grandparents as kids and felt nicely homey to both of us. The updates include the most silent KitchenAid dishwasher I've encountered. And finally our kids loved the screened porch with its collection of bar signs, I guess a bit of the former residents stayed with the home and we loved that. All in all a great week of swimming, grilling, and relaxing as a family. We'd love to come back again. "This house met all of our needs and actually exceeded our expectations"
This house met all of our needs and actually exceeded our expectations. We were staying with our 3 children- age 3, and 9 month twins, and our au pair. 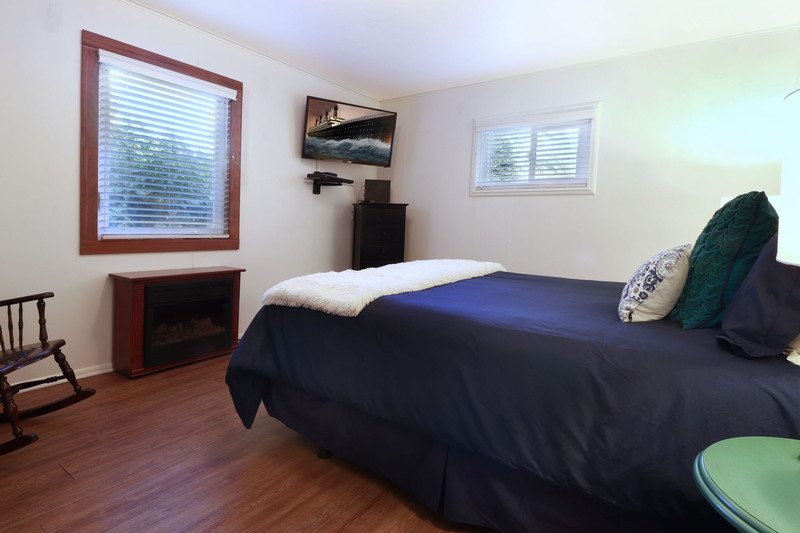 The pool house, with bedroom, full bath, living area, and kitchenette was perfect for our au pair. The main house was clean, cozy and easily child-proofed since there aren't a lot of breakables within reach. However, the doors to the outside are easily opened by a 3 year old, and one morning we woke to find our child in the yard talking to the birds. Luckily the yard is fenced, the gate to the pool is secure and the latch can only be reached by an adult. The house provides a bounty of towels, everything you could need for cooking a gourmet meal, gas grill and utensils, a table for dining al fresco, and a fire pit for relaxing in the evening and roasting marshmallows. As mentioned, it's an easy walk to town and a great jumping off point for exploring the surrounding Russian river towns. I'll be adding this house to my list of favorites! "Main house is very livable..."
Main house is very livable, but the grounds could use a bit of love. Construction was going on next door so that was an issue, but not really the fault of house owners, just bad timing I guess. One of the showers did not have hot water. But we were credited funds for that without asking. The management group was clearly trying to do the right thing, which goes a long we with us. Pool and hot tub were great. Cabana was very cute next to pool. Lots of humming birds and rural animal sounds echoing the meadow. Quite charming.